Surprise the family by turning last night’s dinner leftovers into something AMAZING. Here’s nine droolworthy ways to serve leftovers that are all completely different AND delicious. Huzzah! Plus, you’ll save money too because those leftovers will no longer be discarded or pushed to the back of the fridge to die a slow and painful death. 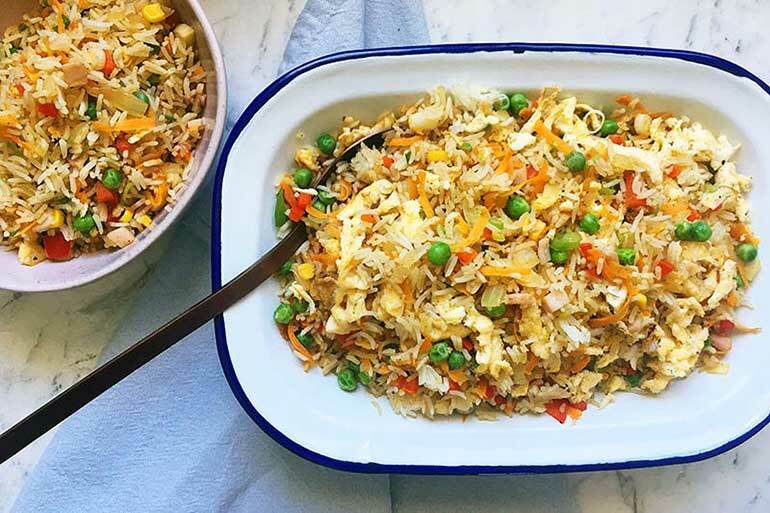 Fried rice is a super delicious (and ridiculously easy) way to use up leftover rice. Bulk it out with vegetables and some shredded chicken or bacon and you’ve got yourself a whole new meal. Yum! You can’t go wrong with pizza, am I right? 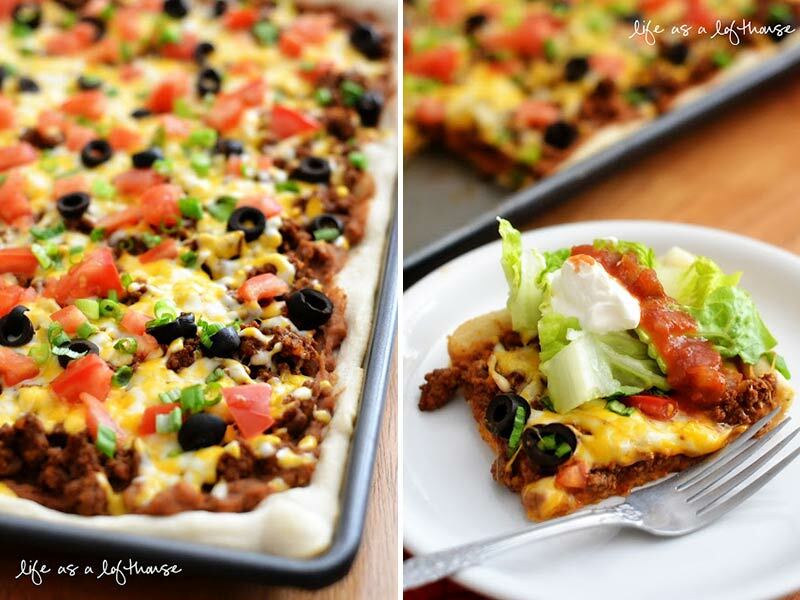 Use refried beans, salsa sauce, leftover taco mince, capsicum and cheese to create Mexican taco pizzas. You can even spice them up with a few jalapeno chillies. You can even make your own dough – and it only takes TWO ingredients! You mightn’t think mashed potato is worth saving, but it definitely is! 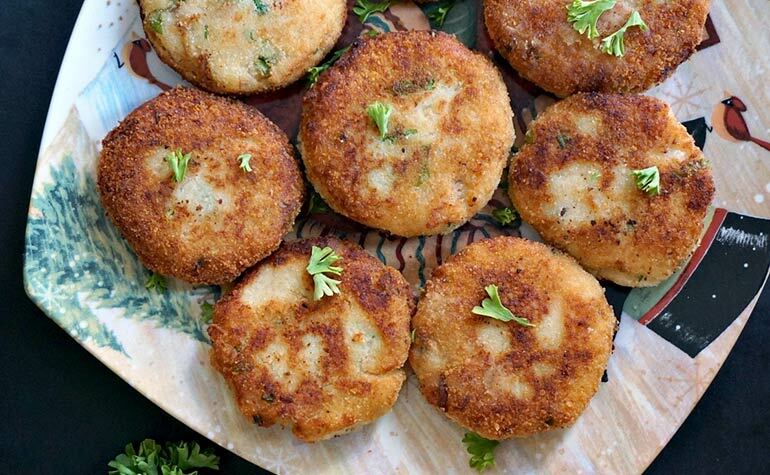 Turn that creamy mash into zesty mashed potato tuna patties. 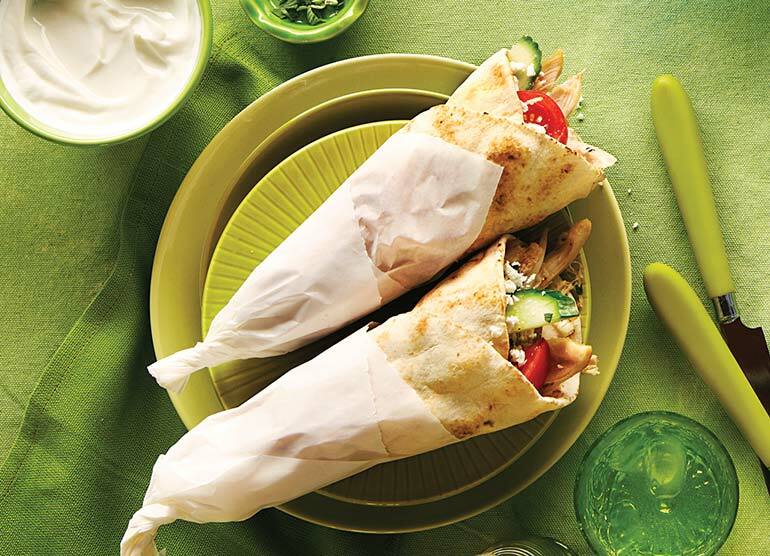 Serve with plenty of mayonnaise to dip, wedges of lemon, a salad and you’re good to go! And they’re great for lunch boxes too. 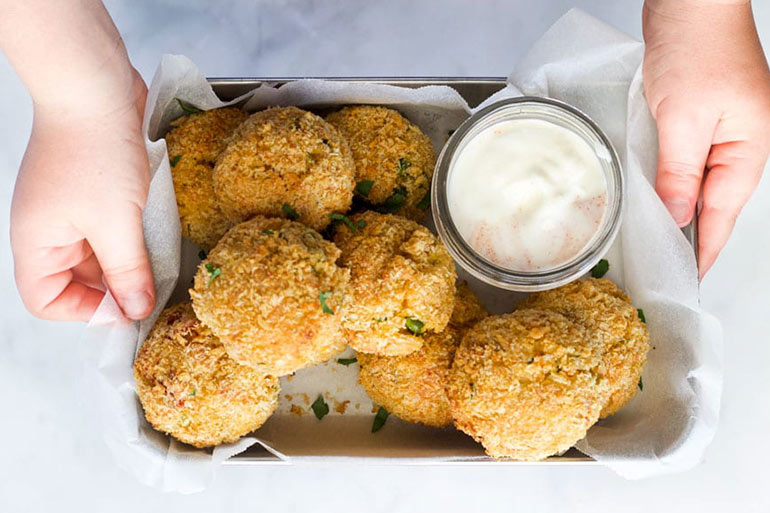 Who could resist picking up one of these light, crunchy and golden baked arancini balls to dip into a delicious cheesy sauce? Truth be told, I think I prefer risotto this way. 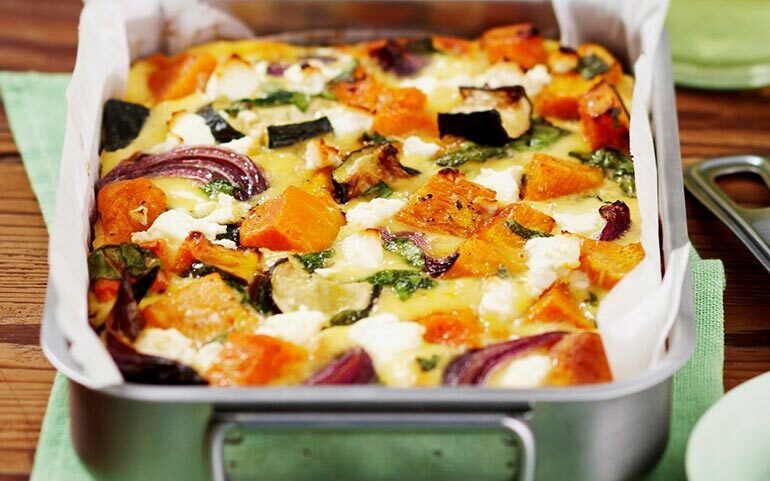 Take those cold, leftover roast vegetables and turn them into a gorgeous roast vegetable frittata slice. Eat warm, or cut up and eat cold in lunch boxes. 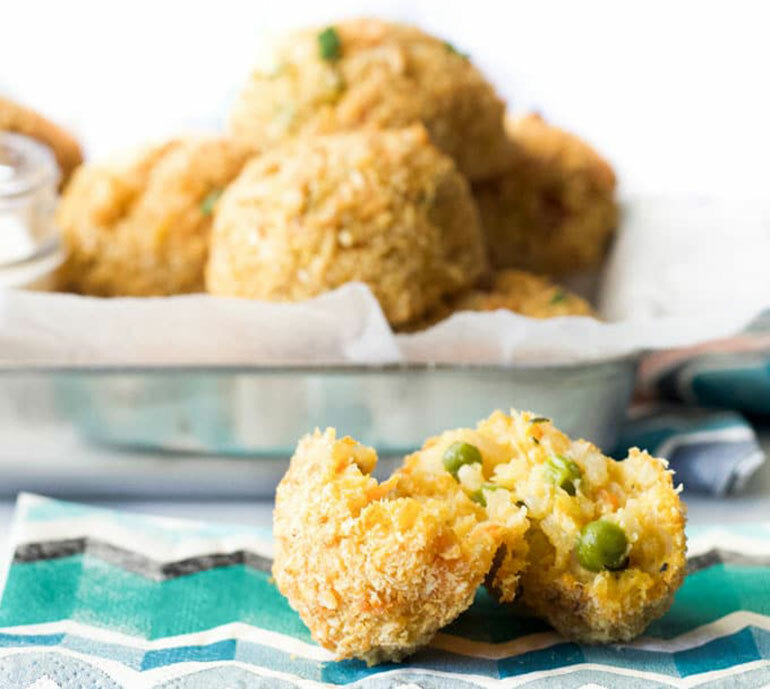 Want more ways to serve leftovers? Leftover chicken is awesome for so many recipes. 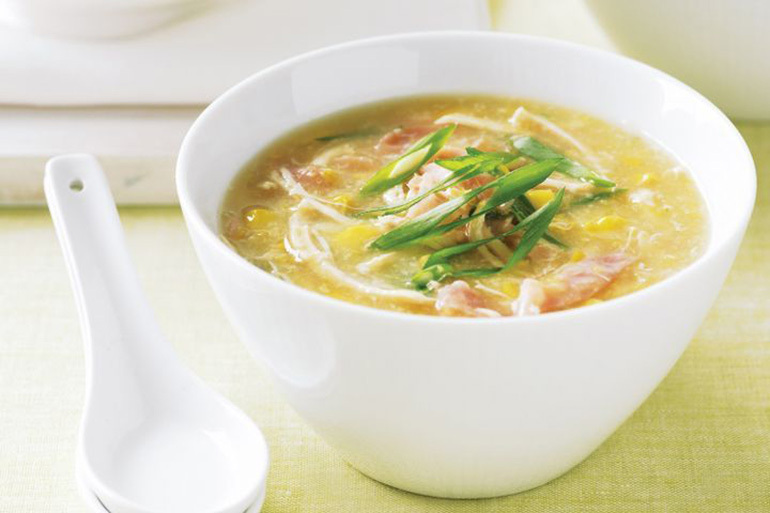 Stir shredded chicken through pasta, use for sandwiches or even try your hand at a winter warming bowl of that Chinese restaurant favourite, chicken and sweetcorn soup. For a fresh and light meal, pair leftover pork with all the salad makings for a delicious Vietnamese banh mi style rolls. Make them as fancy or basic as you like. 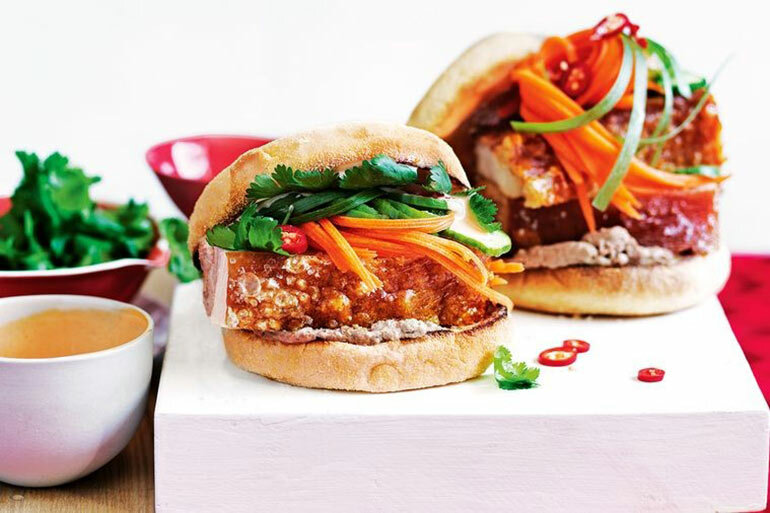 Banh mi rolls can be found at the supermarket or at a push, try a hot dog roll – just don’t forget the coriander! Straight to the flat bread aisle! Leftover roast meat is perfect for being reheated and hit heavily with creamy garlic sauce or tzaziki, salad and being wrapped up tight in a yiros (or kebab). Securely wrapped in baking paper, there’s not even any need for cutlery! Had a BBQ at home and totally overestimated the amount of bread you needed? Good news! 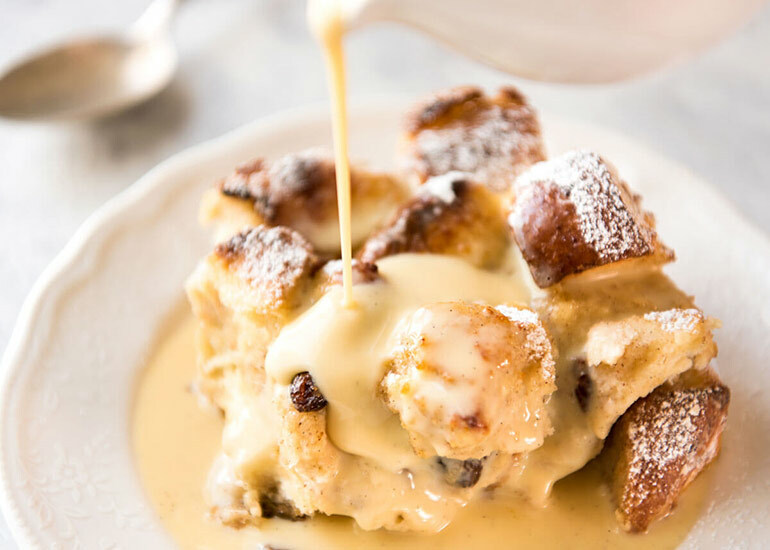 You can turn sliced bread, bread rolls – even croissants – into a glorious, silky custard laden bread and butter pudding. Leftovers have never looked SO GOOD. Prefer to freeze your leftovers for another day? Then check out these 15 slow cooker recipes that you can batch cook – one meal for now and one for later!